This cardigan is a bit of a struggle. 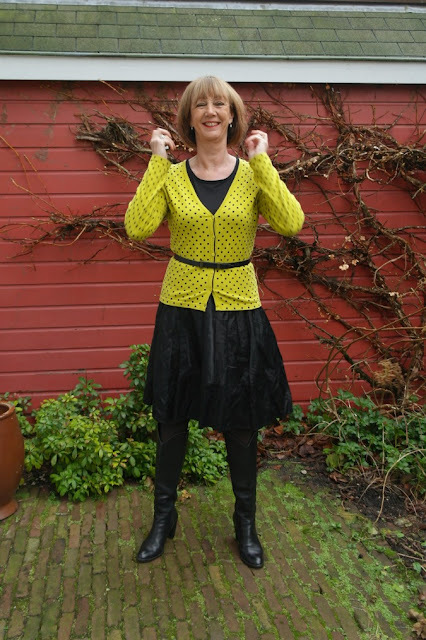 At first I was very pleased with myself because I came up with a cream/black polka dot top underneath the yellow/black polka dot cardigan. The combination would have been cute, only the top had the wrong kind of collar for my neck. It made my neck too long. Frequent visitors know I gave the top to my stepdaughter at Christmas. Better somebody else enjoys it, than hanging on to it and never wear it. 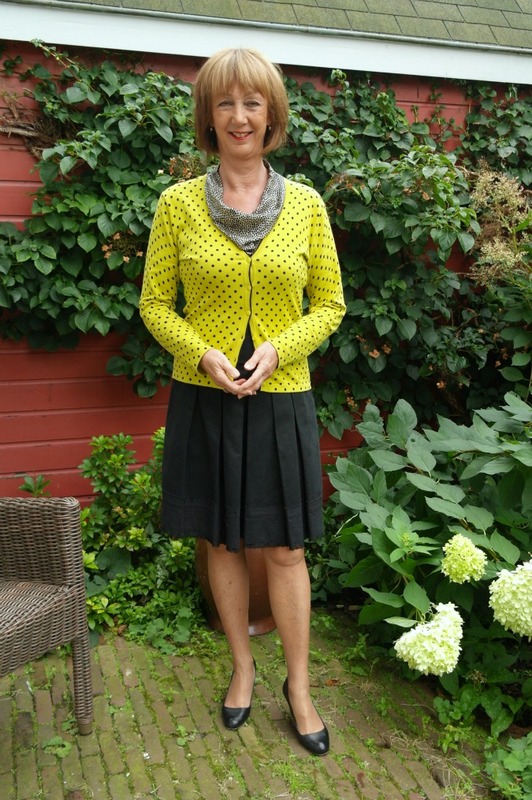 So I tried the cardigan with an A-line charcoal skirt and black blouse. And with a black wide skirt and black top. 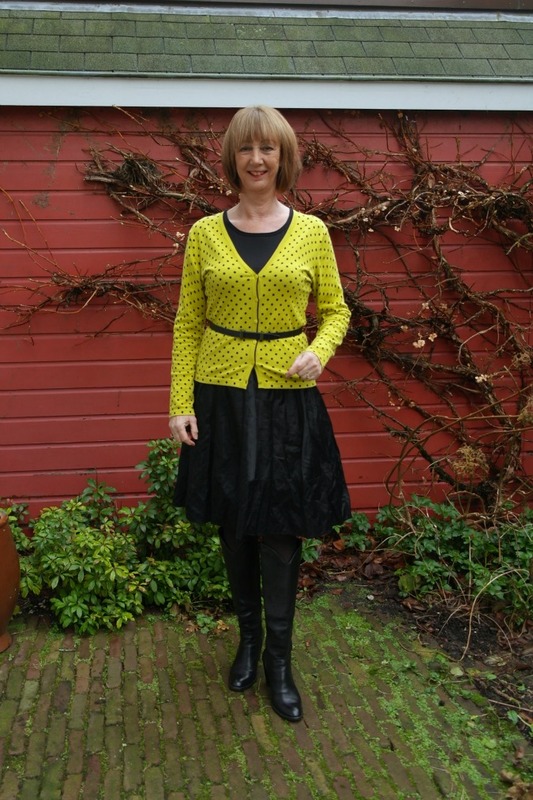 I will start with that, but I think the best combination is the cardigan with a black top and the A-line skirt (not photographed). Below: trying to adjust my hair…. Below two photos of the cardigan with the A-line skirt and a blouse. The A-line skirt is good, but the blouse makes the outfit a bit dowdy. 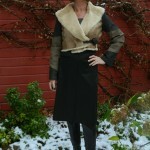 Below the cardigan with another skirt, which is a bit too short and definitely too tight in the waist. I will throw that skirt on the pile: Give away. 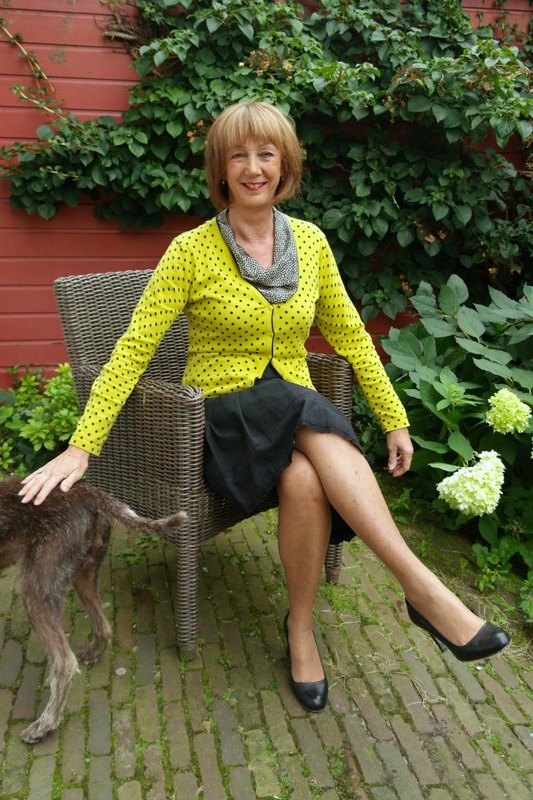 In the second photo the collar of the cardi does not look bad, because the photo is flattering.